This is our new site featuring plenty of old favourites. We are an events hire company based in sunny Worthing. We hire funfair side stalls; hire fete games and pretty much every type of lawn game imaginable! We cater for staff parties, break-out sessions and after conference parties and basically any other event you can think of. We have been hiring to the good people of Sussex for quite a while now and whilst most of our work is in either East or West Sussex we will travel and cover most of the South East including London. Please take a look around our site by clicking the links above or the pictures below and if you can't find what you are looking for pick up the phone and have a chat or email us. We are happy to help and point you in the right direction if it's something we don't do. This is the go to site for funfair games, side stalls and fairground games hire in Sussex. We have been hiring our games for over 15 years and in that time have attended many weird and wonderful events as well as the more traditional! We believe we provide the fun factor at an event. Most of our stalls and games have been around for well over 100 years and there is a reason for that…. They are great fun! 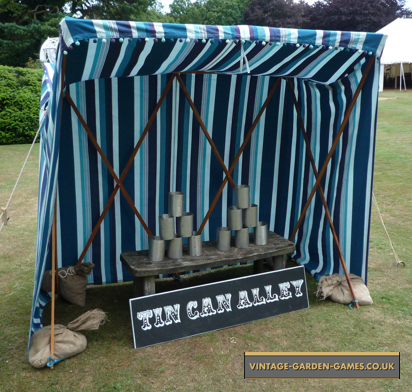 We hope you will agree our games really look the part and with the addition of bunting and some hay bales you can create a special party atmosphere almost anywhere! As you will see in the rest of our site we have lots of types of games and can cater for indoor after conference type events as well as creating traditional style fete or fairground atmosphere outside. Whatever types of games you are after call us as we have large stocks of each type and if we haven't got something we will make it for you! As well as hiring out our beautiful stalls and games we have over 15 years experience in the event organising and are always happy to help. Please give us a call or send us an email; we look forward to speaking to you soon.